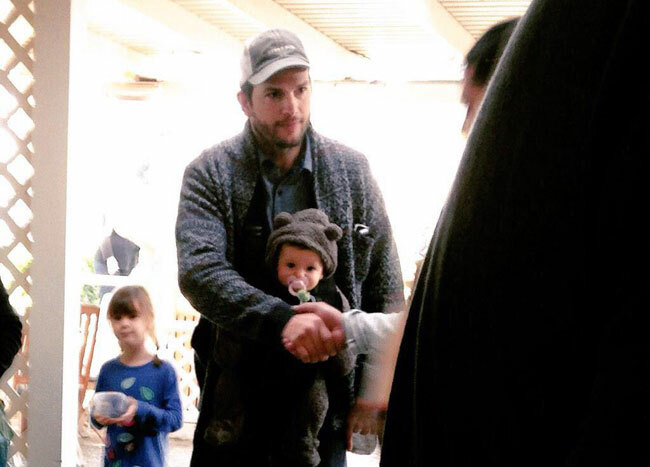 We know it's a baby girl and we know the name is Wyatt Isabelle but Ashton Kutcher and Mila Kunis were keeping their bundle of joy away from spotlight - until now. The reclusive couple was not ready to expose their daughter to public anytime soon. But, they changed their mind. The new parents posed together with their baby girl in a holiday card sent to friends and family which has since been leaked to a fan site and social media, reports RadarOnline. Three photos have been leaked, out of which 1 snap has all three of them posing for a close-up selfie. 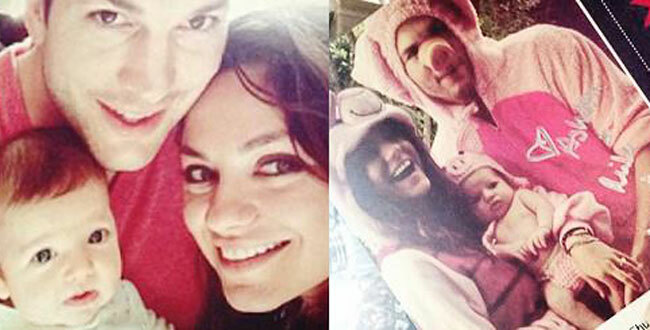 In the second picture, the family is dressed up in pink pig costumes looking adorable. The third photo, has Ashton has his baby in a carrier around his torso as he shakes someone's hand. Mila is not present in the snap. Mila and Ashton welcomed Wyatt on Oct 1, 2014. Ashton and Mila got engaged in February although the two have sparked rumours of a secret marriage already after Ashton posted a interesting photo on Facebook. The message said, Happy new Year, Love from The Kutchers. Well, as of now the family holiday card looks extremely adorable and we'd be more than happy if the couple ties the knot.